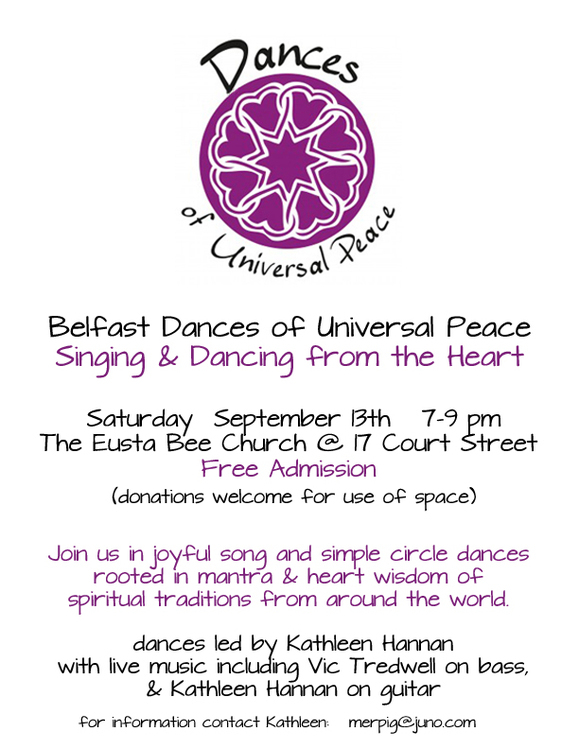 I'll be leading an evening of Dances of Universal Peace in Belfast, Maine on Saturday evening, September 13th. 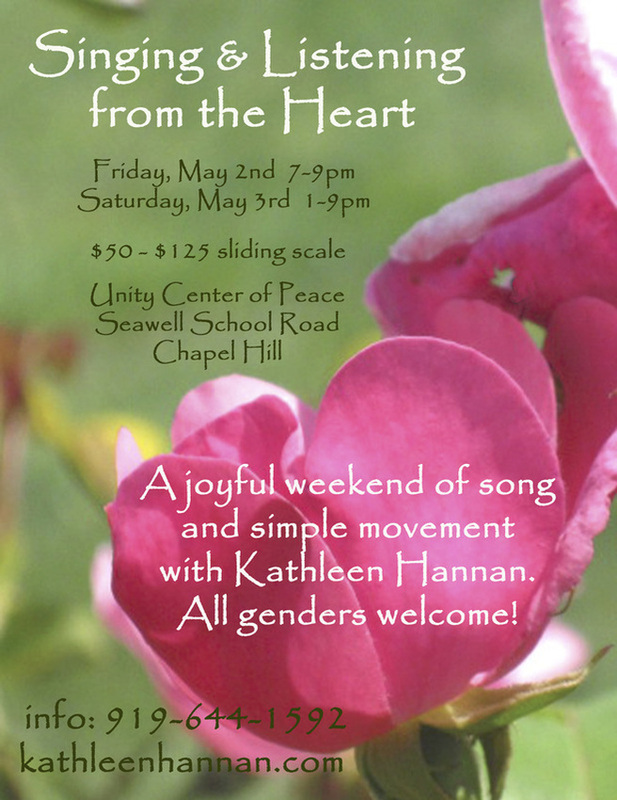 After almost 8 years of leading the Bodies, Voices & Spirit Choruses, I am delighted to invite you to my first weekend retreat. The weekend is open to people of any gender and any amount of musical experience (including no experience!). 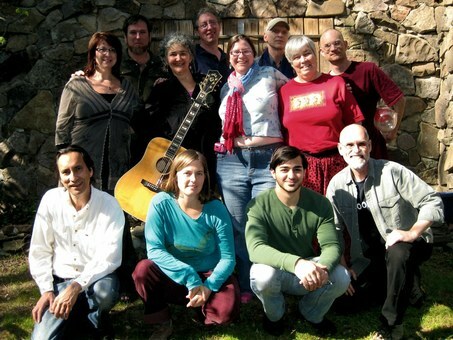 We'll sing original songs of mine, songs from several faith traditions, and other songs that connect us to nature and to our true nature. 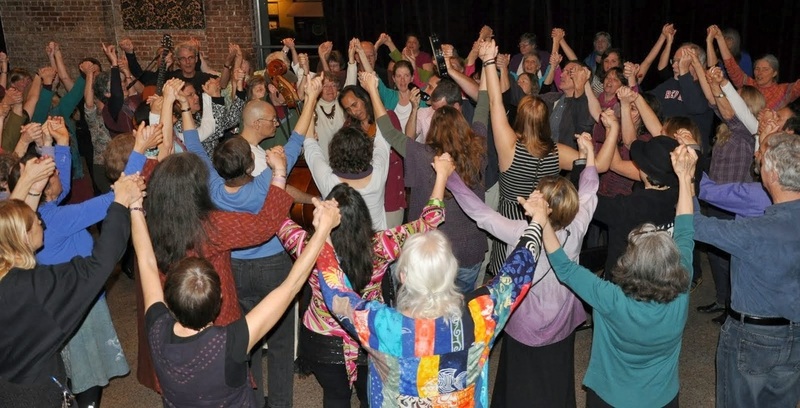 We'll do some simple circle dances with song as well, some dances that are quiet and inner oriented, and others in which we will rock out in joyful celebration of life, and of spring. We will take our time to deepen into the rich soundscape around us: sounds of nature, of each other, of the beautiful acoustic piano and other instruments. We will listen deeply to our bodies as well, and to the deepest, open peaceful space within our bodies and hearts that connects us all. As we deepen into listening, the music we make will become saturated with the truth of who we are. And we'll leave the weekend renewed in the Heart that we share, and reoriented to living from that Truth. was a night shimmering with Love which I will always remember. We were a very full house of 16 people on the stage and 220 people in the room. The beauty of that many human voices singing together was so moving...we felt the reverberations of the music down in every cell of our being. As Sharon Blessum wrote, "One Heart singing in 200 voices." Thanks to everyone who was there in person, and thanks those of you who were with us in spirit. I have heard from lots of folks that they are singing the songs along with the CD as they travel down the road and in their homes. My heart is so happy knowing that these songs are living with you now. Thanks to the tremendously generous support of 140 individual donors and an Orange County Arts Commission grant, we met our original goal of $11,000! 17 songs were recorded, mixed and mastered, thanks to the great generosity and commitment of ten musicians and 31 singers in total. Thanks to Jerry Brown at The Rubber Room Studio for a beautiful job from start to finish, both in his excellent technical skills and in his ability to support and connect with every musician and singer on the project. 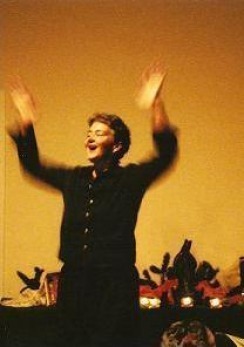 Thanks to my partner, Jude Spacks, whose love, support, humor and deeply creative nature keeps me sane and surprised. Thanks to the Bodies, Voices & Spirit Choristas who have loved, sung and shaped these songs for so many years. Thanks to all of you who came to the CD release concert, where we collectively rocked the rafters with Love. I feel like the luckiest person in the world, and I am deeply grateful to each of you who helped made this happen. More credits and gratitude on this page. studio sessions on the musicians' page. All these songs are about Love in the largest sense. 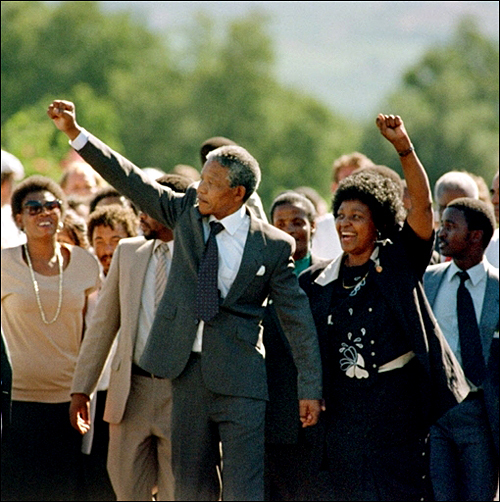 Check out the lyrics here. 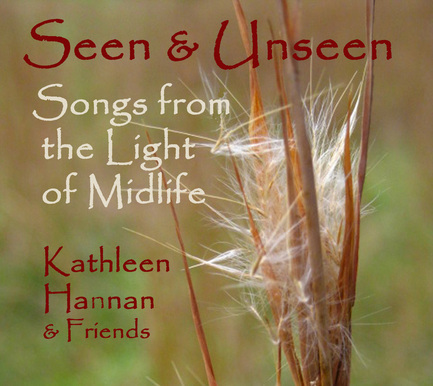 Photos of Kathleen are by Amy Kellum.